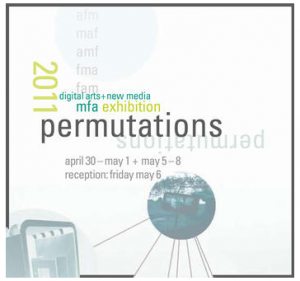 The night of April 5, 2011, collaborating artists, Pheonix Toews & Aaron A. Reed, were guests for the Artists on Art radio show to talk about their work and upcoming installations for the UCSC DANM MFA graduates Exhibition, Permutations. Pheonix is a digital video conceptual artist. Aaron is an interactive non-linear storyteller. Since both of them are working within the framework of augmented reality, we began our conversation about what this means. Below is a short description of their current work. Aaron A. Reed’s piece is entitled “ what if im the bad guy? and other stories.“ This collection of interactive stories explores how narrative can be made tactile, tangible, and sculptural. Walk through a meadow to find the perspective from which an accused soldier’s story makes sense; navigate the history of a house to construct a perfect vignette. Aaron A. Reed’s “what if im the bad guy? and other stories” presents four experimental narratives exploring ways that stories can become tactile, sculptural, and participatory. The title work invites participants to explore the true story of an accused Marine through both an augmented reality excursion where different perspectives on the truth collide in real-world spaces, and an interactive fiction replaying a frozen battlefield moment through the words of six different narrators with violently conflicting goals and ideologies. All four pieces explore how narratives can be atomized and reconstituted to create meaningful and moving collaboration between authors and participants. 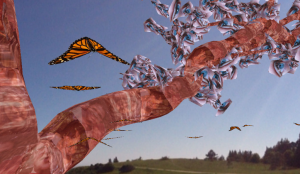 Pheonix Toews piece is entitled Palimpsest: Augmented Reality Theater and is an open-source augmented-reality browser capable of layering media over specific landscapes viewed through the iPhone. 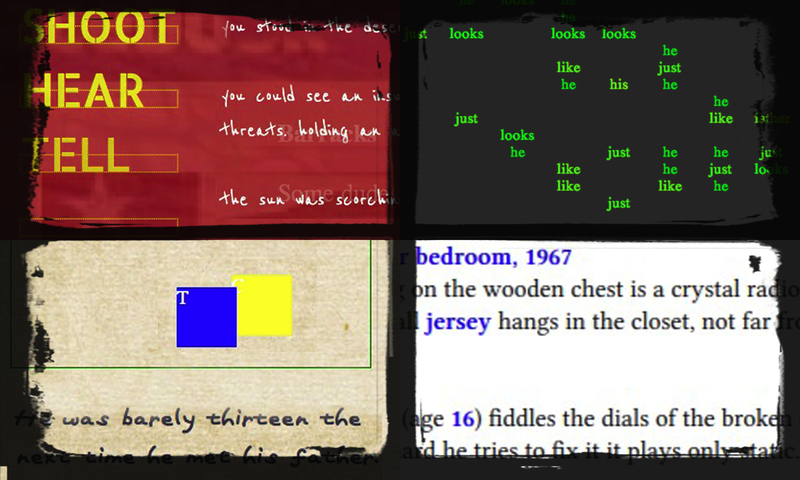 By employing a simple, yet powerful, scripting engine, the browser enables the creation of socially mediated narratives contextualized by geographic location, games that interact with the physical environment, and artistic performances and installations that are virtually attached to a real-world physical space. 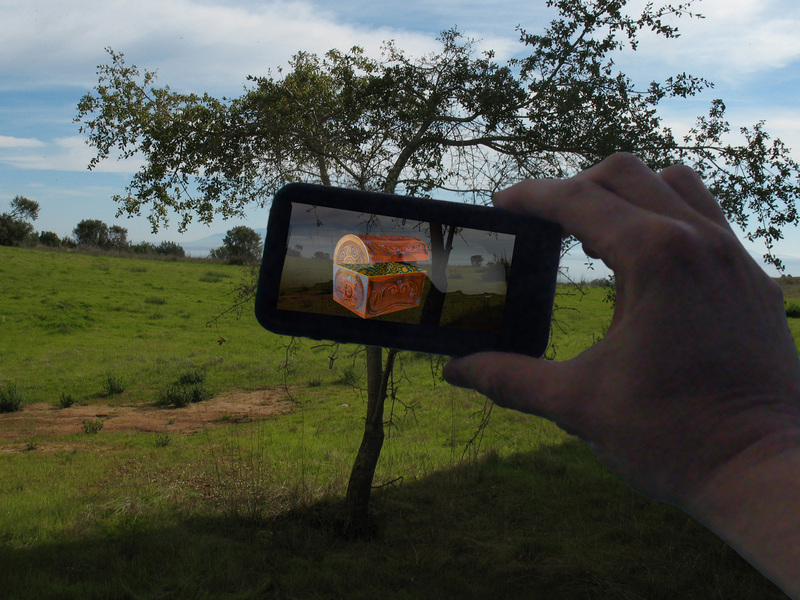 A participant may explore one of several experiences and narratives, and may navigate and interact with virtual objects such as images, 3D models, and sounds which are located at physical gps coordinates. 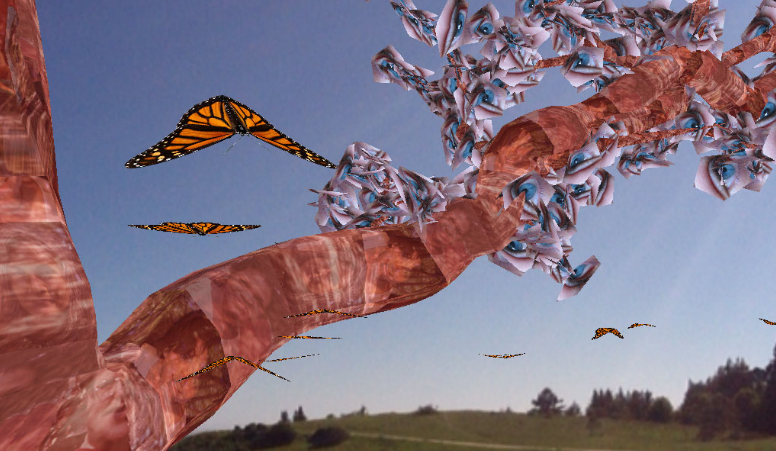 Digital Arts and New Media MFA program at UC Santa Cruz presents an exhibition of ten graduate students whose works employ advanced technologies for creative potential and social impact. Entitled Permutations, this year’s UCSC DANM MFA exhibition is the culmination of two years of research and artistic exploration, and will include new media works that explore performativity, interactivity and participation. Through storytelling about places, times and players, these artists experiment with digital media to produce unforeseen outcomes and permutations. Their works probe fundamental questions and explore controlled and random mediated experience. They interrogate the borderlands, edges, and contested territories of contemporary new media art practice. 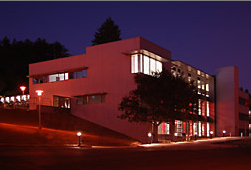 Location: The Digital Arts Research Center (DARC) located off Meyer Drive near the Music Recital Hall and Theater Arts on the west side of campus. 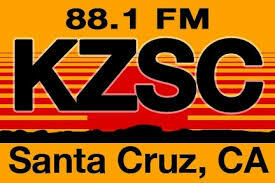 If you missed any part of the live broadcast, please click on the triangle below to hear the show in its entirety.